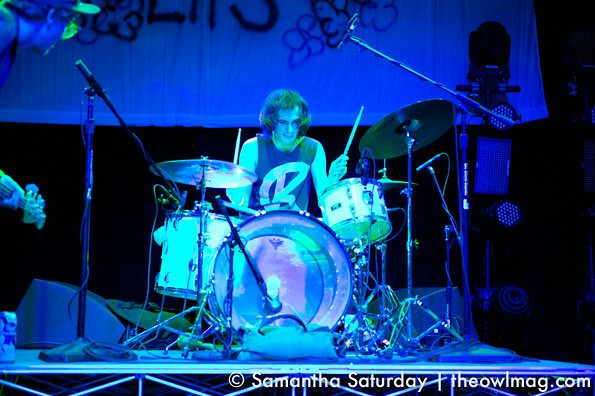 Santa Ana’s Observatory welcomed a lineup that mainly showcased acts from Fullerton, CA’s venerable Burger Records label. 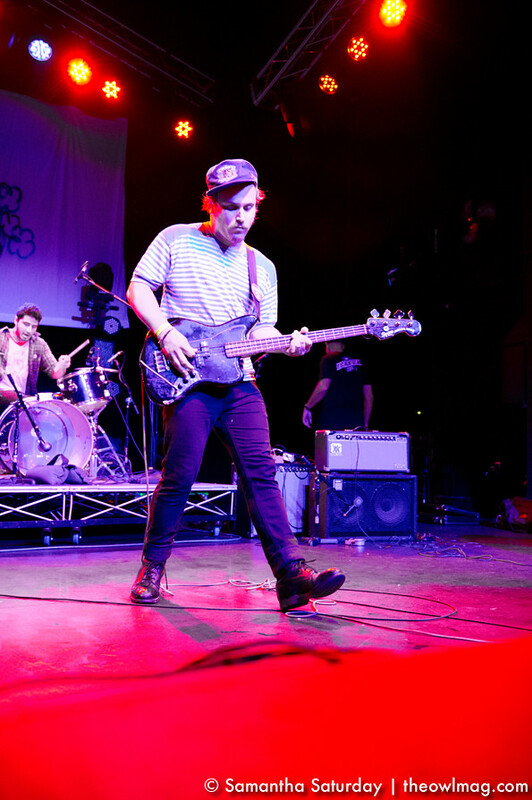 Like their name implies, opening act Pangea took rock back to its prehistoric power chord roots, but they also had metallic guitar harmonies and tight stop-and-start action. Their rock show had the early all-ages crowd well-entertained. Audacity was up next, playing another tight set. 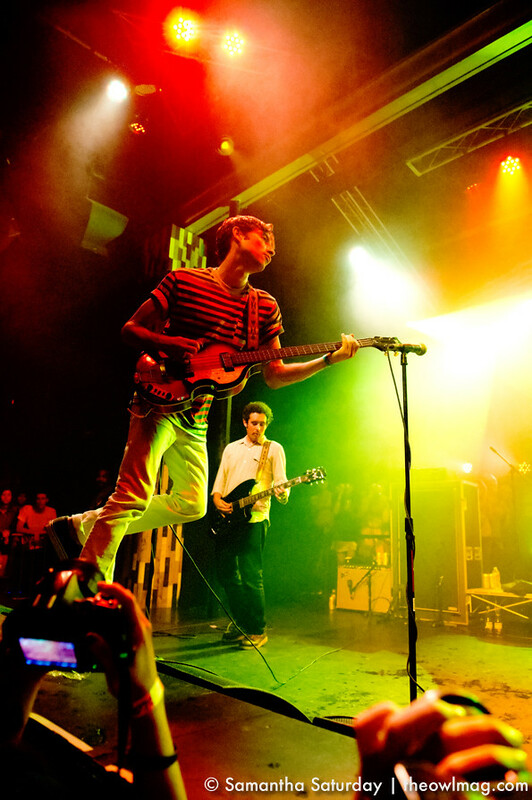 For their last song, they welcomed Pangea’s singer, Danny Bengston, back onstage to join them. 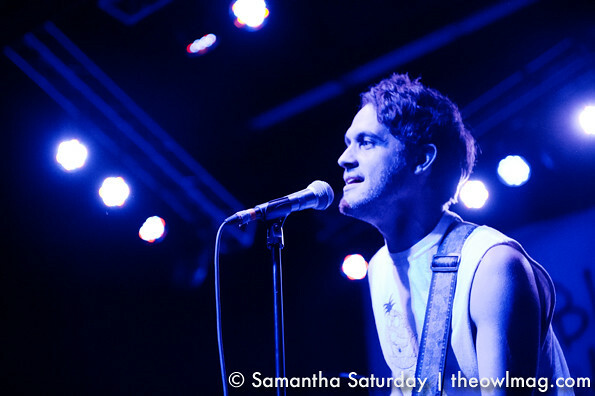 Bengston locked lips with Pangea’s singer and stood atop the railing in front of the crowd. King Tuff played next, and though he’s all hair and rock scuzz, Tuff has some unabashed pop melodies in his songs. Guitarist Mr. California and drummer Tommy Tom Tom from Audacity played double-duty, backing Tuff along with bassist Magical Jake, and they provided a tight backdrop for him. 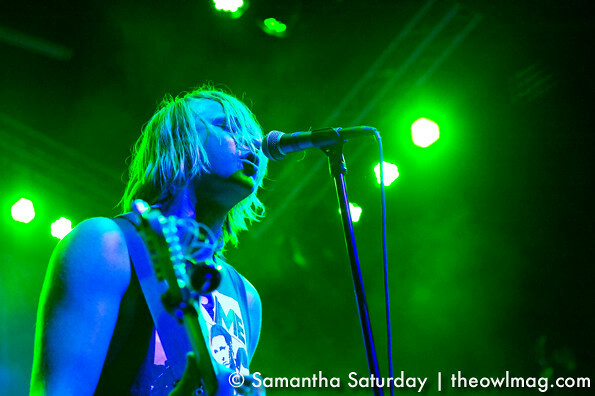 Tuff wore a panther-like snarl during jams that touched on everything from boogie rock to glam. 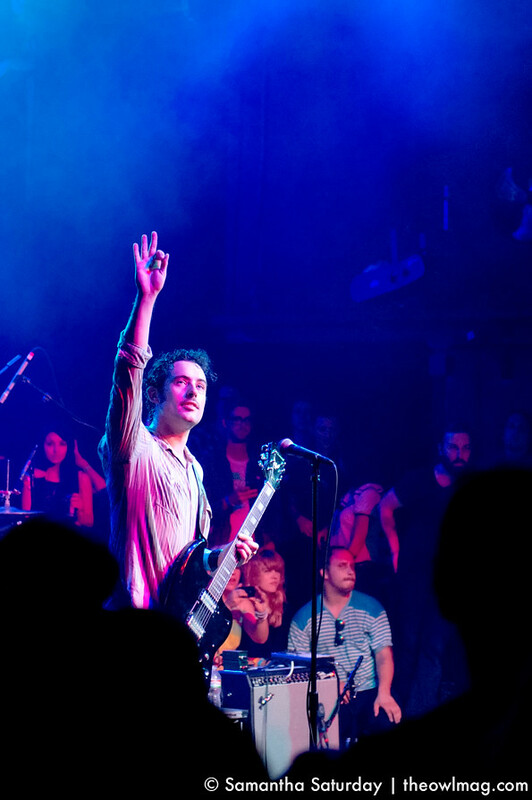 The house was fully packed when Black Lips came onstage to a fanfare like a group of conquering heroes. 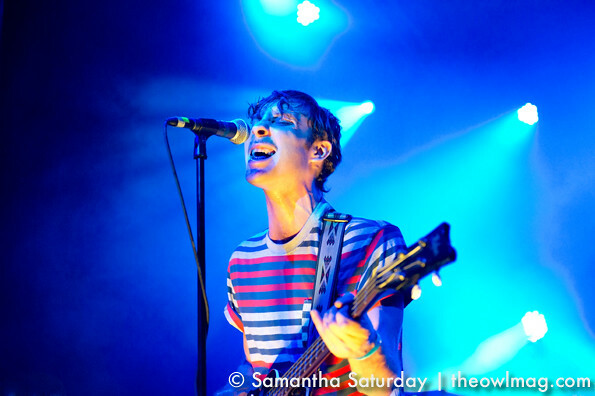 Half of the Atlanta quartet’s set was from their last LP, 2011’s great Mark Ronson-produced Arabia Mountain. Those focused garage punk gems sounded great, but they also dug into their back catalog, playing old faves like “Katrina,” to a huge ovation. The guys kept it pretty cool onstage while a steady stream of fans, not all of whom were female, who ran up to make out with them. 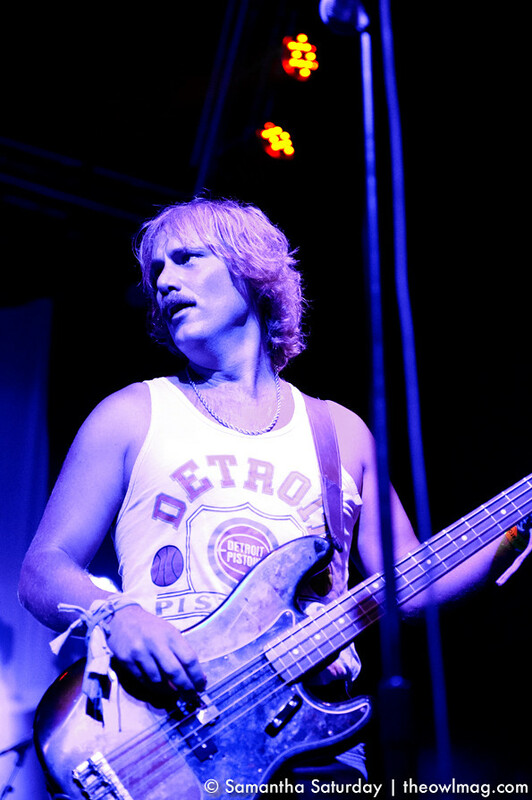 Bassist Jared Swilly sported a Snidely Whiplash moustache, and by the end of the set his strained vocals and gaunt frame left him looking sickly. Black Lips are a band full of vocalists, though, and guitarist/collector of weird hats Cole Alexander lead “Raw Meat” like a champ, while drummer Joe Bradley bopped along to “Go Out and Get It.” Bradley kept the rhythm like he was speaking in tongues, as if the beats were originating in some other holy dimension, and he was merely the conduit for their delivery. The crowd brought an insane energy to their set with moshing that would not be contained to the Observatory’s lower floor area. Kids were diving from the walkway above the floor, and some enterprising daredevil even climbed scaffolding from the floor up to the balcony. It was an intense, hot, fantastic reminder of how wild rock ‘n roll can be, even on a Monday night. 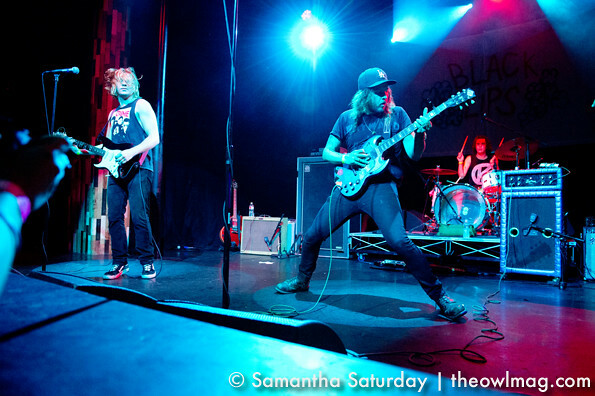 Check out more photos of Black Lips with King Tuff, Audacity, and Pangea here.